A limited selection of my most favorite work from my time as a college student. 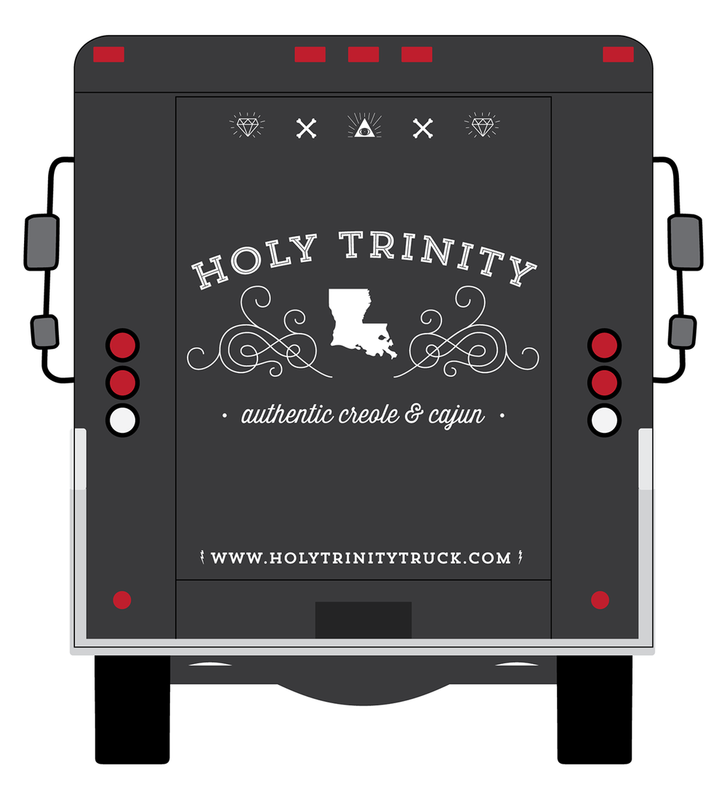 Holy Trinity is a food truck based out of Saint Louis, Missouri that specializes in cajun and creole food. 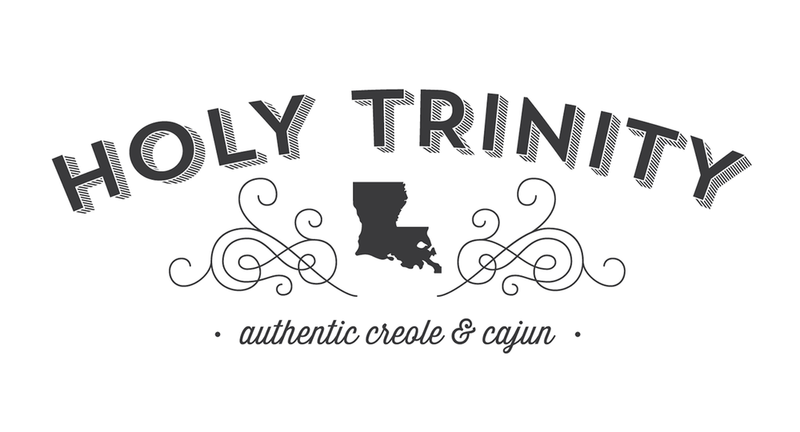 Named after the holy trinity of creole and cajun cooking (carrots, celery, and onions) the identity system is based off of New Orleans, with hints to the historic voodoo culture. 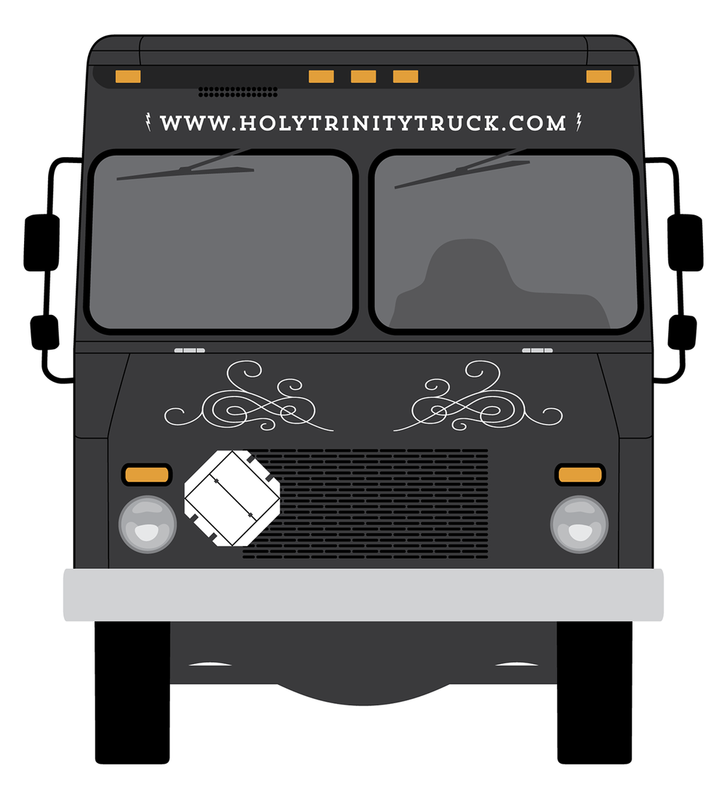 Branding consisted of the truck itself, along with food and drink menus, business cards, tickets for ordering and corresponding ordering slips, wooden utensles, and to go containers for jambalya, along with patterned paper for wrapping up po’boys. 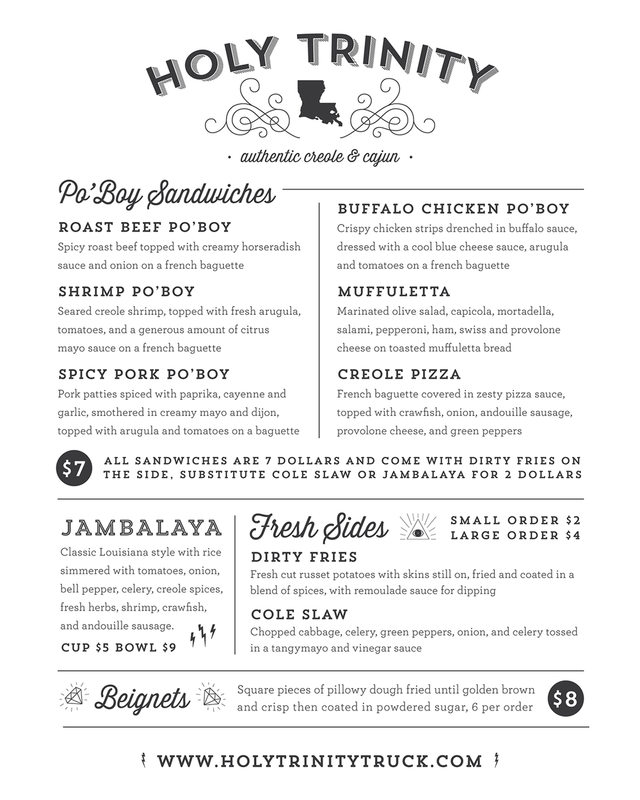 Business cards for some of the local businesses of Pawnee, Indiana. Based off my personal favorite show, Parks & Recreation. Featured on Fake Anything. Movie Re-Branding for the film, Blue Valentine. Collateral including poster, dvd package, & motion title. Branding based off of the emotional, heartbreaking nature of the film.